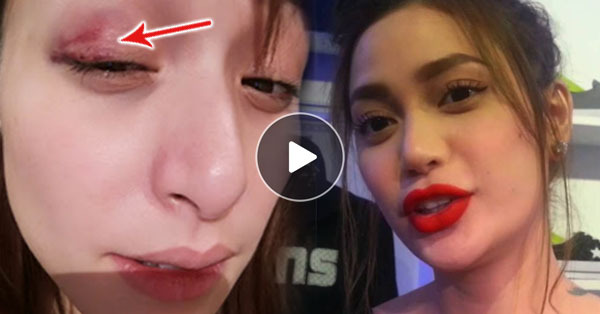 LOOK: Cristine Reyes' Left Eye Bruised After Kick To The Face! 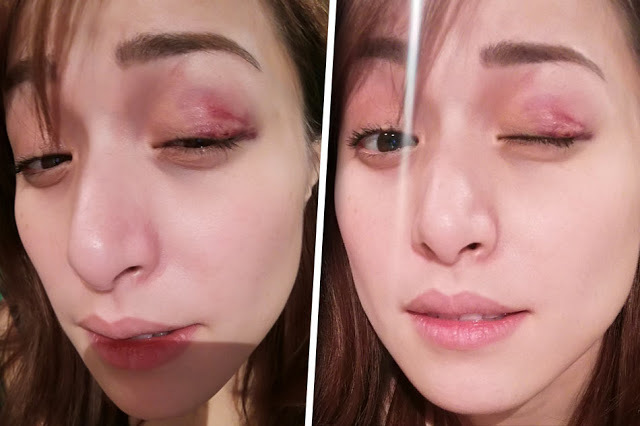 Cristine Reyes has been making waves on social media after a picture of her with a nasty bruise above her left eye started circulating virally. Dyan Castillejo, the ABS-CBN Sports Anchor, shared the photo of Cristine's injury. The accident occurred while taping ABS-CBN's newest reality show called 'I Can Do That'. The premise of the show is based on challenging celebrities with stunts and unique tricks to win prizes. During one of the stunts with Arci Muñoz, Cristine received an accidental kick to the face. "We were doing a dance routine with Arci and there is [SIC] a position kasi where she has to kick backwards[,] so ako 'yung nasa back niya. I was about to go down and she's about to kick, so its double impact. Iyon ang nangyari,"
After accidentally kicking her dance partner Arci immediately apologized. Cristine made it clear as day that she holds no grudge against Arci since she knows that the kick was unintentional. Fans are excited to watch all the celebrities that they idolize on 'I can Do That' which will air for the first time this weekend. Alex Gonzaga and Robi Domingo will host the show.